* Total number of reviews and star-ratings are based on data collected during the time period City Wide Heating & Cooling has been using the ReviewBuzz system and may not directly match the data found on each public review site. 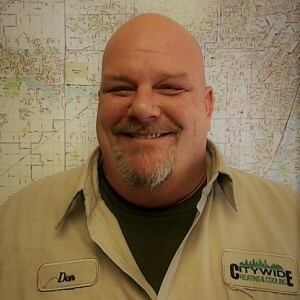 Don and his crew were wonderful, professional, knowledgeable and pet friendly I would highly recommend city wide. Don and his crew were excellent, explained everything, very professional and pet friendly! Don, Justin, and Tyler Did a great job at installing the new heating unit. They were polite and courteous. They answered my questions. Happy with the service and reasonable prices. Very professional and helpful in regaining heat during our recent artic blast! Reasonably priced for the time and phone calls made to our Nest thermostat company and resolved the issue rather quickly. We will be calling on them for all our future needs. 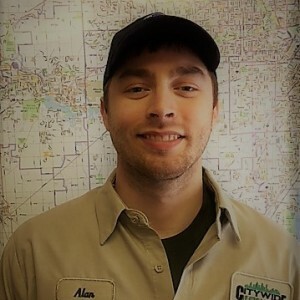 Alan was very friendly, prompt, efficient and informative about the problem with my furnace. It would not go to the desired degree of heat and although the furnace would start the process, it kept quitting on the process after a minute. Alan found the culprit item and made the repair. He stayed long enough to make sure the furnace was operating properly. I appreciated his thoroughness as the temps were hitting subzero for the remainder of the weekend and the house was dipping near the 50 degree mark during the day. It was uncomfortable. I appreciated City Wide’s emergency service and I was thankful their staff is so well versed in furnace repair. I was given options about replacing another minor issue that could lead to other problems and it was replaced right away. Nice to be forward thinking on the repair - a big thank you to Alan and City Wide. Very polite, found and fixed the problem fast. Resonable rates. If I need any work again I will most definitely call you and I will recommend your company to others. I have already recommended your company to several of my friends and one online neighbor! 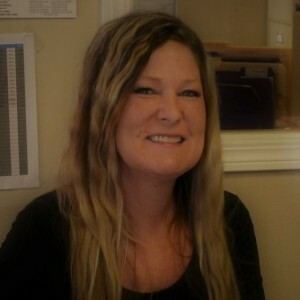 You where very helpful and sympathetic to my situation and didn’t try to take advantage of the situation, in fact you quickly helped me get a large rebate from several places which was a great help to me. Also explained everything thoroughly and did hesitate to reexplain anything I didn’t understand. Thank you again! Excellent service and very helpful, answered all my questions and explained everything he was doing. Very friendly and courteous. Tylor was also very helpful and courteous! I have been working with City Wide for about 8 yrs. now. They are very friendly and helpful on the phone as well as in the home. I have had everything from furnace and AC check-ups to a water heater replacement and most recently a humidifier installed and have been very pleased with their work. Alan is very good at explaining exactly what he is doing, how things operate and the area is spotless when he leaves. I highly recommend City Wide Heating and Cooling! What great people! Honest, friendly, and knowledgeable. New Years Eve day and no heat :( They were out here ASAP. I will definitely call you back when this 30yr old furnace kicks the bucket! I would highly recommend. Thank you Don. Excellent service and very helpful, answered all my questions and explained everything he was doing. Very friendly and courteous. Excellent service, fast super friendly! Would highly recommend. Excellent is how I describe my experience with City Wide Heating & Cooling. From the first phone call to Janell to my appointment with Al for an estimate to the perfect install & cleanup by Don, Don jr., and Justin everything went great! This company comes highly recommended from me, and yes they will be doing more work for me. Very pleased with our experience with City Wide Heating and Cooling. Don and his team were extremely professional and very helpful. They let us know what time they would be here. Did a wonderful job installing our new air conditioner. Cleaned everything up before they left. It was a very pleasant experience. Thanks Don! Very professional and friendly. Great service at a fair price. 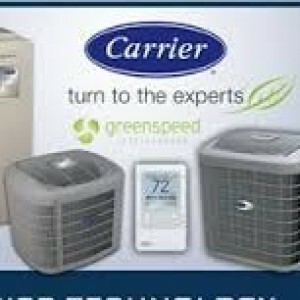 Don and his team did a fantastic job on installation of our new Carrier Furnace and Air Conditioner. They were friendly, polite and very professional. The install ran into multiple road blocks which was no fault of theirs (manufacturer defect in fan and housing unit in furnace and problems meshing old 2 zone equipment with the new equipment). They worked diligently to correct the problems and were very apologetic with the delays caused by the problems even though it was no fault of their own. They lived up to promise of getting it right before they would leave job (had to come back next day because Carrier wasn't open to get the defective replacement part). 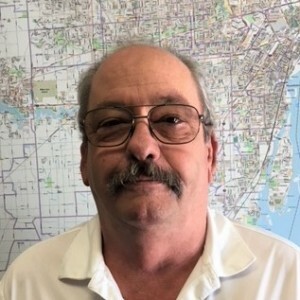 Very pleased with overall service with company at all levels from calling in for estimate, the estimate process with Al, the entire installation crew and service technician after had a question with fan operation and control. All were very friendly, helpful and professional which is very refreshing in today's world. Will definitely recommend to friends and family and will do business with them again for any future needs in their area of expertise. City Wide Heating Cooling Team . Customer service is always a top priority at City Wide Heating & Cooling. Our BBB Membership A rating is like a badge of honor as we continuously strive to provide the best experience for our clients.